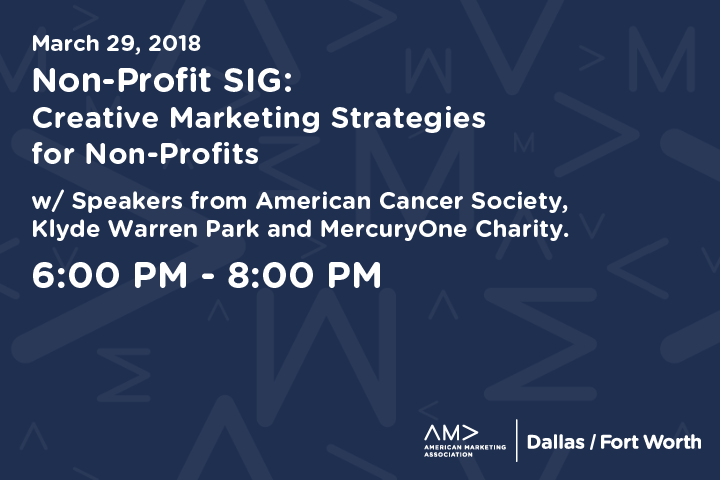 Attend our Non-Profit SIG and dive into cause marketing, consumer fundraising, and program sponsorship, and the creative strategies and marketing necessary for success. Our panel of Non-Profit experts will share challenges in gaining an audience, marketing tactics used for success, and methods to maintain a marketing momentum. Marketers, Non-Profit Community, and anyone looking to increase customer, volunteer, or donor retention, market with improved insight on customers, market with improved ROI of marketing activities, grow Brand Ambassadors and Brand Loyalty. What audience engagement tactics work for Non-Profits? How to engage and retain customers, donors, or volunteers? How to establish a positive experience during the promotion phase? Steven Lange is the Director, Regional Corporate Relations for the American Cancer Society, Dallas Office, South Region. 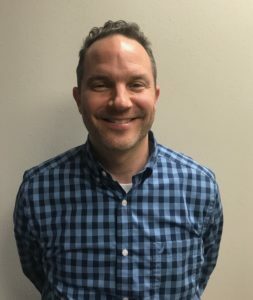 He builds relationships with corporations and organizations in the Dallas-Fort Worth area to create awareness and funding for American Cancer Society’s mission services through the creation of cause marketing promotions, corporate philanthropy, employee giving, and volunteerism. In addition to external activities with corporations, Lange leverages the same corporate relationships to create internal cancer prevention and screening awareness campaigns directed towards employees and their families. He champions the day-to-day management of the North Texas CEOS Against Cancer chapter, a group of volunteer business leaders that band together to make a positive impact on prevention, treatment and survivorship for the 350,000 plus employees and the greater Dallas-Fort Worth community. 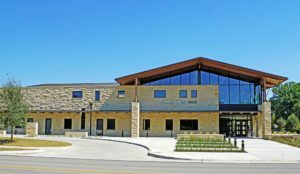 Lange holds a Bachelor of Arts from Washington University in St. Louis, as well as a Masters of Business Administration from the University of Texas at Dallas. Tara brings years of experience in the sports industry, venue management and large-scale projects to her role at Klyde Warren Park. Before joining Klyde Warren Park, Tara was a key player in transforming the Dallas sports industry over the past decade. Prior to joining the Park, she was chief revenue officer at the American Airlines Center, where she worked with the team owners and staff to design and implement a successful organizational structure for sponsorship and premium seating. She served as the vice president and chief operating officer of the North Texas Super Bowl XLV Host Committee for Super Bowl XLV (45). In her role there, Tara led the team that coordinated bid obligations, communicated plans with city officials, developed a regional transportation plan and managed the operating budget. Also, earlier in her career she served as the vice president of sports marketing for the Dallas Convention and Visitors Bureau. Additionally, her commitment to the city of Dallas is evident through her many leadership positions. She serves on the board of directors for, Downtown Dallas Association, Dallas Arts District, Uptown Dallas Inc. and the McKinney Avenue Trolley. She recently completed a two terms as the chairwoman of the Dallas Sports Commission and also served on the board of the VisitDallas. She is also a past chairwoman for the National Association of Sports Commission and has earned her Certified Sports Event Executive (CSEE) designation. Tara is a graduate of the University of North Carolina at Chapel Hill with a bachelor’s degree in international studies. She also earned a master’s degree in sports administration from Ohio University. Tara currently lives in Coppell with her husband Lamar and two children, Wiley and Sydney. Janie is native to Dallas, Texas and holds a degree in Creative Advertising from Southern Methodist University and an MBA from the University of Texas at Dallas. Her years of experience from supporting clients in entrepreneurial-like boutique creative agencies to partnering with several non-profits continue to afford Janie with opportunities to advance the skills, and knowledge of those she serves. She joined Mercury One in 2016 as Director of Communications and also served as Director of Grants and Disaster Relief in 2017. Free Parking! Parking is located underground. Early Bird Members receive $5 off your member ticket. To receive your $5 discount, click on Enter Promotional Code, enter your member number and click Apply. Please note AMA DFW’s refund policy: Tickets are nonrefundable unless cancellation is requested via email at least 48 hours prior to the start of the event.